The FFCMH is very proud to announce the establishment of the Paddy O’Rourke Prostate Cancer Honours Scholarship to be offered each year to an outstanding student undertaking Honours in the field of prostate cancer research. The student will receive a scholarship stipend of $5000 and will be supported to attend a national meeting to present their research. Applications for the 2016 Scholarship round are now open and close Mar 4 2016. Interested students should contact the Centre at menshealth@adelaide.edu.au for more information on the application process. Daniel “Paddy” O’Rourke was a wonderful man and a passionate consumer advocate for the Centre’s prostate cancer research program who sadly passed away in April 2015 from prostate cancer. He was only 56 years old. 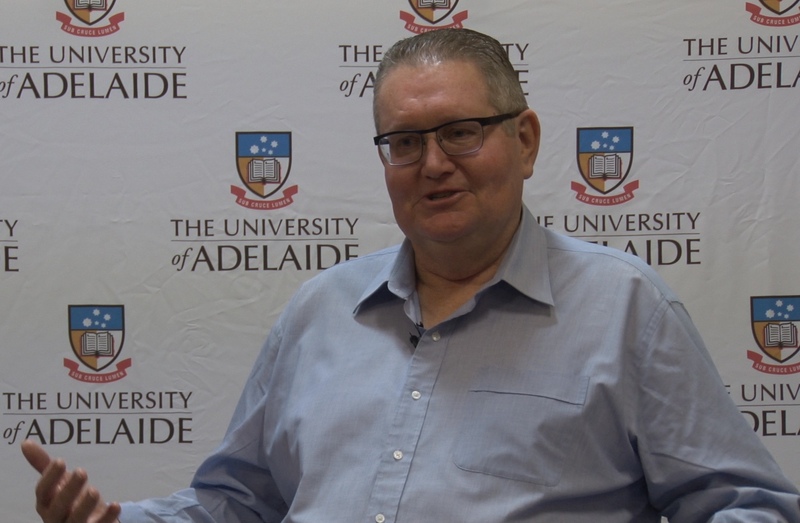 The new Scholarship was announced by Mr Robert Clyne OAM, MAICD (Executive Director of the Freemasons Foundation Inc.) at the recent South Australian Men’s Health Research Symposium at SAHMRI. Paddy’s wife Iris, who attended the Symposium for the announcement, was, as Paddy described, his “rock” from the time he was diagnosed with advanced prostate cancer in late 2009. Iris was thrilled that we can continue to honour Paddy’s name and contribution to research through supporting young scientists working towards better treatment and support for men with prostate cancer, and their families. The below tribute to Paddy from Professor Wayne Tilley, sums up why he was very special to us and to the many who knew him. This entry was posted in News, Research and tagged consumer, honours, prostate cancer, research, scholarship. Bookmark the permalink.